Happy New Year! Whatever the horrors of the past year, each brand new year aways seems somehow fresh, open to possibilities and unrolling before us like a road untravelled. I most certainly hope this is so on the wider scene, for our country and for our world. I’m deeply grateful that it’s so for me personally, since the next few months will be lively with preparations to move into yet another home. I sincerely hope it will be my last one, or nearly, and am very much looking forward to making it a place that truly feels like home. After several years of displacement, I’ve had the great good fortune to be able to buy a modest home in a charming community in an unbeatable location. The offer came as a complete surprise but a very welcome one. A long time friend is moving on and I’ll be moving in, along with my daughter. Alexis has struggled with anxiety and depression as well as the huge hormonal shifts of midlife gender transition and we both feel that she’ll find life less stressful in a shared place that belongs to her. Our new home will be in a delightful mobile home park, a true community nested in the heart of the Island’s down town. Surrounded by development, the park remains a real neighborhood, with genuine connections and friendly relationships. We already know lots of the neighbors and look forward to meeting them all. However, our friend’s new place doesn’t close until mid March and we can’t start our actual move until a few renovations are completed. Once the old rug is replaced by flooring and the kitchen is updated a bit, I’ll have time to consider the garden. Garden may be too grand a word for the very small space I’ll be working with. Our vintage mobile home is a perfect size (24 x 48’), with two bedrooms and two bathrooms and a pleasing floor plan, but it sits snugly on the small lot. Very snugly. Whatever beds I manage to squeeze in will be tiny, though there’s a good long deck (30 x 10’), covered though not enclosed, where I can certainly find room for a few pots. It’s big enough to easily hold my funky vintage table and chairs as well as my big mother pots, which have been vacationing with a kind friend until I had a place for them again. When gardeners are limited to tiny spaces, it forces great clarity about plant choices. If we only have room for a precious few, which plants will gladden our hearts on a daily basis, all year round? Which can we not imagine doing without? Beyond that sort of pondering, there’s also the question of what style of garden design will best suit the house and property. This vintage mobile home has a cottage-like quality, its frosted aluminum siding looking a bit like weathered wood. The overall feel is of simplicity and good cheer, making a cottage garden more suitable than the severe elegance of several neighboring lots, where the old homes have been replaced by sleek, huge monoliths surrounded by sweeps of gravel and not much else. Though I garden weekly at the library and help occasionally elsewhere, I’ve been longing for a place to putter. There’s simply no pleasure like walking out your door into your own garden. Before I decide what to plant, though, I’ve got some removal to do. A bamboo hedge must come out (hopefully not an impossible task) as well as several nondescript shrubs that don’t thrill my heart. Some elderly fatsias will be trimmed and transplanted to the back fence to screen out an untidy neighbor’s hoard of stuff. With cleaned out beds and refreshed soil, I can better see what might go where, but for now, I’m making lists of plants I’ve sorely missed. It’s fun to find that I deeply love some very ordinary plants. I long for their company and am determined to find room for these dear creatures. 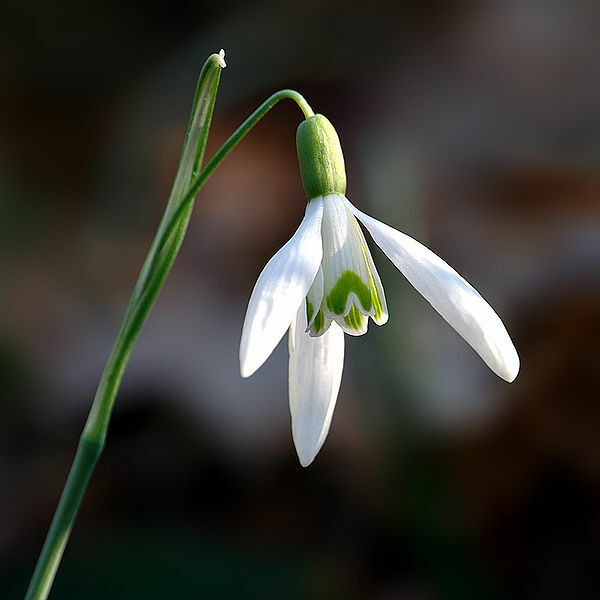 Small ones can get tucked in anywhere, such as snow crocus, snowdrops, and hardy cyclamen. Several grasses are definitely on the list, notably golden Japanese Forest Grass and Pheasant Tail Grass. A hellebore or two, my favorite double purple and one of the creamy rosy new ones, perhaps. I rooted cuttings of Pistachio hydrangea, a compact form that will be happy in a pot. Marshall strawberries, thyme and oregano will line the path (there’s really only one), along with lavender and rosemary. A rose, of course (not sure which yet). An espaliered Honeycrisp apple tree can be tucked into the sunny parking strip (barely big enough for my Smart car). In the back, there’s just room for a tiny vegetable garden and a little fire bowl for summer evenings. I’m sure there’ll be more, but for now, this is enough to make my new year seem promising indeed. May yours be as well! This entry was posted in Garden Design, Garden Prep, Planting & Transplanting, Sustainable Gardening, Sustainable Living and tagged Garden Design For Small Spaces, Heartful Gardens. Bookmark the permalink. It all sounds wonderful. Best wishes for your new home and garden. I have a suggestion about bamboo removal that I personally found very useful, at least for small clumpers. That is to grab hold of a root with pliers and give it a good yank! You get more roots this way than just using bare hands. Persistence pays. Keep at it. That weakens it and it will die of exaustion. I am so happy for you as you start this adventure. And I love that you are finding room for two of my favorites – cyclamen and hellebore. Oh, and oregano, thyme, lavender, rosemary and strawberries. Best wishes for your new home! How exciting to start a whole new fresh garden. Are you thinking you want to keep all that deck? Maybe expanding a seating area in a garden for some of it would be more satisfying due to the weather here and your love of gardening?